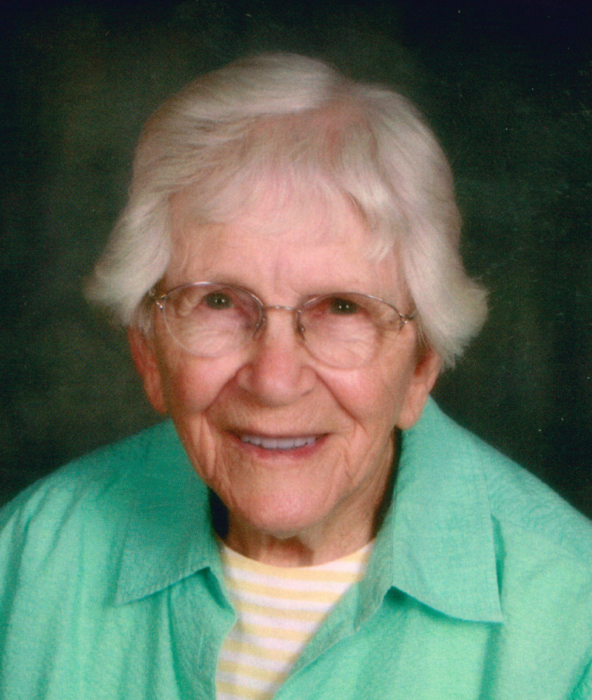 Rock Valley, IA: Norma Vande More, 95, of Rock Valley, Iowa, formerly of Hudson, South Dakota, died Tuesday, February 5, 2019 at Whispering Heights in Rock Valley. Mass of Christian Burial will be held Tuesday, February 12, at 10:30 AM at St. Mary’s Catholic Church of Rock Valley with Father Douglas Klein celebrating the mass. Burial will follow at St. Mary’s Cemetery of Rock Valley. Visitation, with the family present, will be held Monday, February 11, from 5:30-7:00 PM at Porter Funeral Home of Rock Valley. A rosary and prayer service will follow the visitation, beginning at 7:00 PM. Memorials may be given to Hudson Emergency Services or the Hudson Public Library. 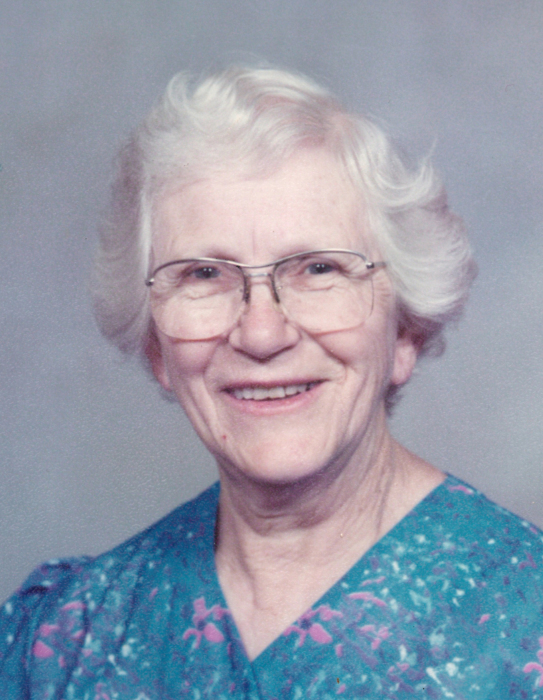 Norma Vande More, daughter of Nels and Myrtle (McConniel) Homandberg, was born May 17, 1923 on a farm south of Canton, South Dakota. In 1934 the family moved south of Fairview, South Dakota. In 1940 she met Bob Vande More. They were married December 20, 1940. They lived on a farm northwest of Hudson, South Dakota for 14 years. In 1955 they moved to another farm northwest of Hudson, where she continued to live until 2014 when she moved to Whispering Heights in Rock Valley, Iowa. Bob died in May 1988. Norma enjoyed playing cards, bingo, and making quilts. She was always very proud of her greenhouse. Norma enjoyed traveling with friends and visited all of the 48 contiguous states. She was a member of St. Mary’s Catholic Church in Rock Valley. She is survived by her six children, Roger (Maxine) Vande More of Canton, Tim Vande More of Carmen, Idaho, Peggy Waterman-Baughfman of Sheldon, Iowa, Julie (Craig) Wegner of Hawarden, Iowa, Janice (Duane) Van Egdom of Rock Valley, Iowa, and Mike (Carlotta) Vande More of Hudson; 19 grandchildren; 43 great-grandchildren; and sisters-in-law, Rose Vande More of Canton, and Wava Homandberg of Alcester, South Dakota. Norma was preceded in death by her parents, Nels and Myrtle; husband, Bob; son, Todd Vande More; great-granddaughter, Ariyanna Miller; two Johnson infant great-grandsons; sisters, Helen Snedeker, Borgild Johnson-Lund, and Nila Miller; and brothers, John and his wife, Dee Homandberg and Elmer Homandberg.